Better Call Saul is an American 60 minute scripted legal television series, which kicked off on February 8, 2015, on AMC and is broadcast every Monday at 21:00. The show is currently in its 4th season. AMC has officially confirmed the renewal of Better Call Saul for Season 5. The exact release date is yet to be announced so far. Sign up to track it down. Better Call Saul is the prequel to the award-winning series Breaking Bad, set six years before Saul Goodman became Walter White's lawyer. When we meet him, the man who will become Saul Goodman is known as Jimmy McGill, a small-time lawyer searching for his destiny, and, more immediately, hustling to make ends meet. Working alongside, and often against, Jimmy is "fixer" Mike Ehrmantraut, a beloved character introduced in Breaking Bad. The series will track Jimmy's transformation into Saul Goodman, the man who puts "criminal" in "criminal lawyer. 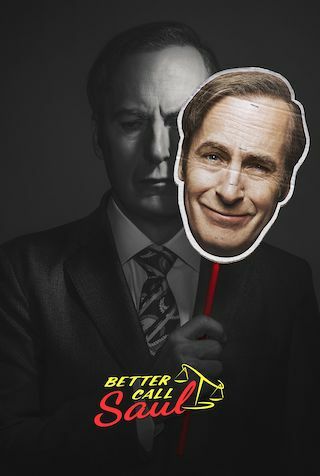 "Better Call Saul's" pick-up comes just ahead of its highly-anticipated season four premiere on Monday, August 6th at 9:00 p.m. ET/PT. Season three of the critically acclaimed series ranked as the #5 cable drama among adults 25-54.